Mads Mikkelsen hasn’t always been the international superstar that he’s seen as right now because of Hannibal. In fact many people weren’t even aware of his work before he started eating humans, yet he certainly had a lengthy career before he joined the ranks of US network television. His face may have been familiar from his appearance in Casino Royale as Le Chiffre in 2006, but much of his work has been back home in Denmark. One of his most familiar roles was in Rejseholdet aka Unit One, where he played Allan Fisher, the detective inspector with a tendency to act emotionally rather than rationally. 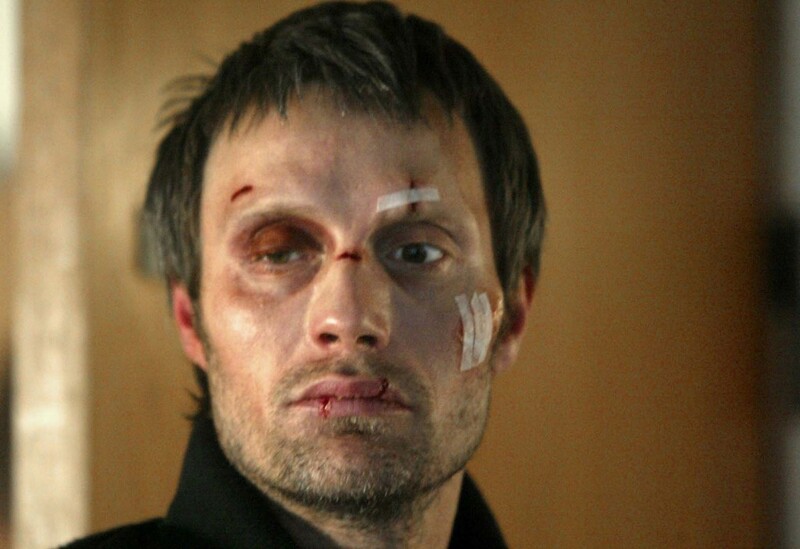 Lasting for four seasons, Unit One was an award-winning series worldwide, and Mikkelsen himself won a Best Actor award at TVFestival in 2002. He has certainly been at the top of his game for a very long time, and it’s no surprise that US networks came knocking eventually. 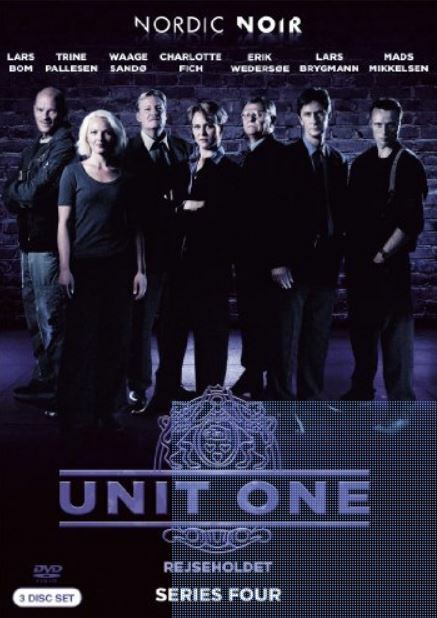 Nordic Noir are finally bringing the final episodes of Unit One to DVD, much anticipated by a whole new fanbase that have become addicted to the show over the past few years. The rise in interest in international television mixed with Mads’ higher profile means that Unit One is still garnering great acclaim many years after it finished. What’s It About? Based on true criminal cases, Unit One is yet another dark European series, following some of the most extreme cases in the country. It’s very much a product of its time, as a precursor to some of the more famous series that came after it. That’s not to say it’s any weaker, but society and expectations were very much different then, and so while Ingrid Dahl (Charlotte Fich) may not be a true match for The Killing’s Sarah Lund (Sofie Gråbøl), she undoubtedly paved the way for the latter to exist and be accepted by TV audiences worldwide. As with many older shows like The Sopranos and The Wire, Unit One’s strength is in character and acting, and despite being a decade old, Fich and Mikkelsen make this show a must-watch from start to finish. Verdict: The series probably has more in common with Law & Order: SVU in terms of its level of storyline every episode – it certainly aims to catch the darkest sides of crime, and many episodes are quite unsettling. It’s interesting to try and gauge the reactions of the characters as sometimes emotion can get lost in translation, but the character work is exquisite and top class in any language. From prostitution to murder and Government conspiracies, Unit One certainly covers it all with a gritty sense of realism and it’s very interesting to see how the series ends. As someone who has fallen in love with TV shows outside of the US over the past few years, it’s very intriguing to see Unit One and learn about its place in television history. You can’t help but wonder what the impact would have been if we watched it during the original airing rather than after being spoiled by so many other shows. It doesn’t lose all of the impact – no show as good as this could – but there’s just something that feels like it’s slightly missing. This is clearly a learning experience for all involved and the industry as a whole. Final Words: There are many shows that are important historically that have shaped the future of television in incredible ways. Shows like Star Trek and The Twilight Zone, ones that broke the mould and forced people to think in a different way. They may not look or sound as good now, but the fundamental ideas still ring true today. That’s exactly the case with Unit One – a show that may have been bettered in one way or another, but in the end you cannot argue against its cultural impact or the way it has influenced the industry. Nowadays we get shows like these being remade all the time in the US, and they are popular worldwide, but it has taken a fairly long time for Unit One to really get true recognition outside of its home base. Arrow Films and Nordic Noir have rightfully brought this show to our shores and if you’re a fan of crime drama, you should definitely be picking this up and the earlier series to add to your collection. Unit One: Season 4 is out on DVD now. 2 Comments for "Unit One Season 4 DVD Review"
Loved it but are they making season 5? Would love another season. Best thing after Breaking Bad.